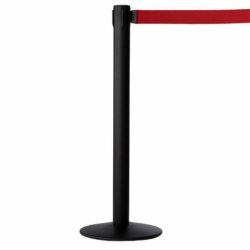 A MUST HAVE STANCHION WITH OUTSTANDING FEATURES Powder coated, rust-resistant, over 17 lbs base providing stability. Base included with all posts. 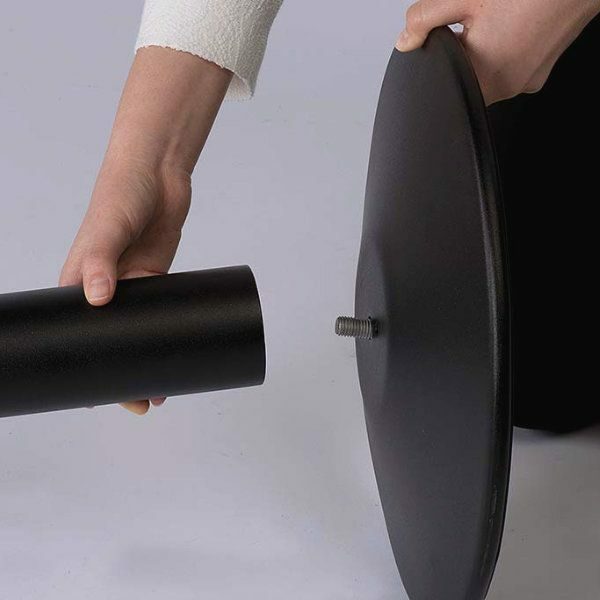 Constructed from durable, long-lasting material. 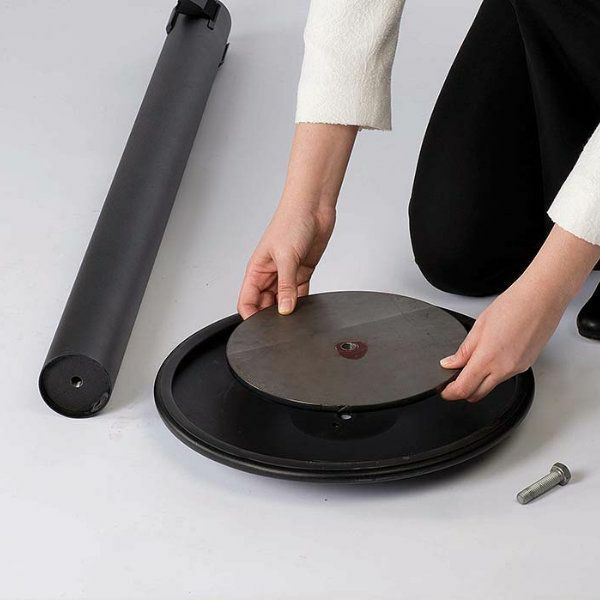 Features full floor protection with its powder coated heavy base. (total weight is 21 lbs) Configuration possibilities due to built-in 4-way adaptor Basic design with black finish and red belt fits into any environment. Built-in locking mechanism of the belt clip. 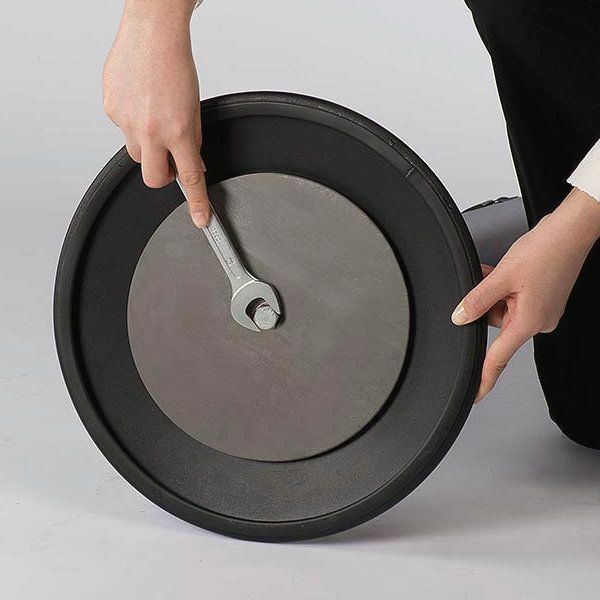 Easy to store or transfer and easy to assemble & disassemble without any tools. Branding on tape is possible.Printing area is 1 5/8 Ò x 106 5/16″. Whenever you have to control the crowd, keep them away or put them in a regular line, you have to use one of the crowd control posts. These post systems are extensively preferred by many retail and service-oriented establishments, and these stanchions have octagonal construction. Displaysmarket also offers crowd control system in traditional round style, which are more cost effective. We provide a wide range of products whether you need high end products or products that have reasonable price, we have them all in our range. Please browse our website for more options. 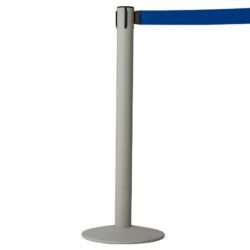 These crowd control posts are called retractable stanchions since they feature a retractable belt system. The crowd control post also has rope options. 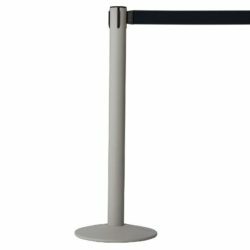 Each and every stanchion offered at best price by Displaysmarket will also impress you with short leadtimes. Please also get advise from our experienced customer service representatives. Simple to use, looks great and affordable. 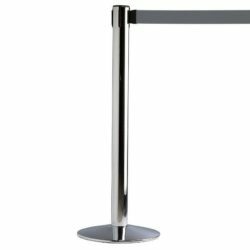 Win Win if you are looking at buying new stanchions.